Source: courtesy of John Montgomery, (CC-BY 2012), http://www.commondreams.org/views/2012/10/17/freedom-beach-dump-citizens-united Figure 11.1 The Supreme Court’s decision in Citizens United v. Federal Elections Committee gave First Amendment rights to corporations in election periods, allowing business interests to spend unlimited amounts on U.S. elections. Do corporations deserve the same rights as individuals when it comes to political speech? Corporations today exert a considerable (and occasionally overwhelming) influence on global politics. In some countries, the influence of corporations on government is so great as to give rise to the suspicion that the government is actually controlled by corporations. Even in those countries that strictly limit corporate influence on political campaigns, the corporate sector can still play an important role in the development of governmental policies through sophisticated, high-level lobbying. In this chapter we ask, how much of this corporate influence is acceptable? We will also explore the following related questions: How can corporate influence be controlled? What is the appropriate level of corporate participation in the drafting of laws and regulations? Should corporations be allowed to contribute freely to political campaigns? What is the role of foreign and multinational corporations? Should they also be allowed to influence domestic politics? Although we will focus on corporate influence, let us note at the outset that they are not the only source of money in politics; wealthy individuals, unions, and other participants in the electoral process also contribute significant funds and resources to campaigns. In the United States, as in most other industrialized democracies, electoral campaigns have become increasingly expensive despite attempts to limit allowable expenditures. The validity of President Obama’s objection to Citizen United has been hotly contested, and it will provide us with a focal point for our discussion: Is it true that corporations have achieved excessive influence over national politics? Are corporations entitled to be treated as “persons” when it comes to freedom of speech? While private election spending in the United States is increasing, the situation around the world is quite diverse. In some countries, expenditures are increasing while elsewhere they are decreasing. A basic distinction in national campaign finance regulations is that some countries allow private support for political campaigns while other countries provide public funds to candidates. In the United Kingdom there are no limits on corporate or individual giving in the general election, yet total spending on the 2010 general election was down 26 percent from 2005.2 However, in the United Kingdom, the Prime Minister may call for elections at any time within a maximum period, which shortens the total time available for campaigning and explains the need for funds. National elections tend to be more expensive in the United States because they come along at predictable four-year intervals. In Brazil, it is estimated that $2 billion was spent by parties and candidates in the 2010 presidential election, with nearly 100 percent of total campaign donations coming from corporations. In countries such as Norway, government funding accounts for up to 74 percent of political campaigns, and political ads are banned from television and radio. —Mark Hanna, campaign manager of President McKinley’s successful bid for the Presidency in 1896. As a result, Congress passed the 1907 Tillman Act, the first US law prohibiting corporations from contributing directly to federal elections. However, it turned out that the law was easy to circumvent. Not only was there no enforcement mechanism or agency, the Tillman Act did not prevent corporate contributions to party primaries, and in many Congressional districts these were even more determinative than the general election. Moreover, the Tillman Act did not prohibit corporate officers from giving money personally to campaigns (the executives were then often reimbursed by bonuses from the corporations). It rapidly became clear that the Tillman Act would only be the beginning of a long and tortuous effort to curtail corporate influence. After World War II, labor unrest reached a historical high. From 1945–1946, millions of railroad, auto, meatpacking, electric, steel, and coal workers went on strike, protesting falling wages amid rising corporate profits. Corporate fears of powerful labor unions and the perception among politicians that labor unions had communist leanings convinced Congress to pass the Taft–Hartley Act (also known as the Labor Management Relations Act) in 1947, which limited workers’ rights to strike, boycott, and picket. The law also prohibited labor unions from spending money in federal elections and campaigns. As an extension of the Tillman Act of 1907, Taft–Hartley constrained labor unions to raising money for campaign contributions only through so-called political action committees (PACs). 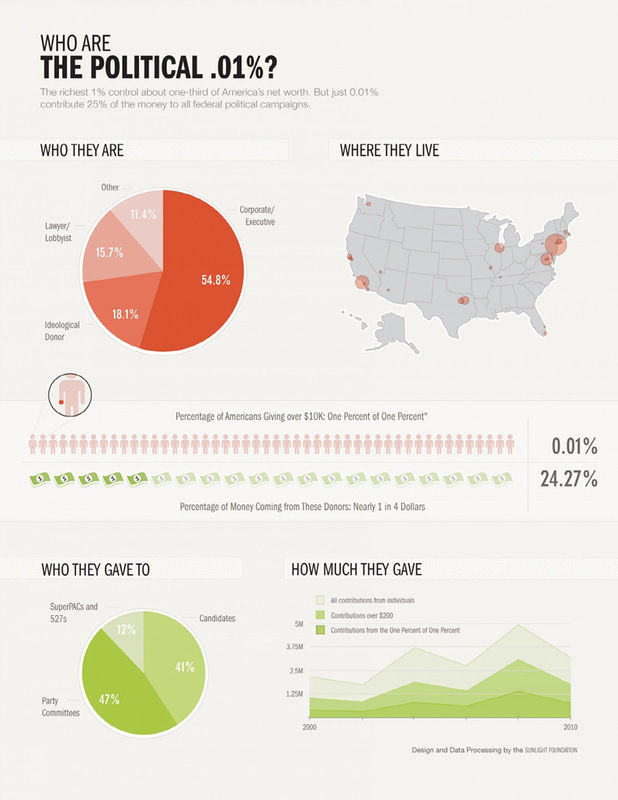 Until 2010, individuals were limited to $2,500 contributions to PACs, and corporations were strictly banned from donating. However, as we shall see below, the Citizens United case radically altered this landscape, removing all corporate restrictions and giving rise to the so-called Super PAC—a political action committee that can accept unlimited donations from individuals, corporations, and unions, and engage in unlimited spending. The only restriction on Super PACs is that the donors cannot coordinate activities with any candidate or campaign. As we can see below from the satirical commentary by television personality Stephen Colbert on the effectiveness of such a bar on coordination, many felt that Super PACs were in reality little more than funding mechanisms under the control of politicians themselves. It seemed that the efforts to control corporate contributions, begun with the Tillman Act, had finally reached a dead end. Source: Cliff, (CC-BY 2.0 2010) Figure 11.2 In 2011, comedian Stephen Colbert formed a Super PAC called, “Americans for a Better Tomorrow, Tomorrow.” While it was intended as a satire of existing Super PACs, it was also a way to educate viewers about the Citizens United decision. 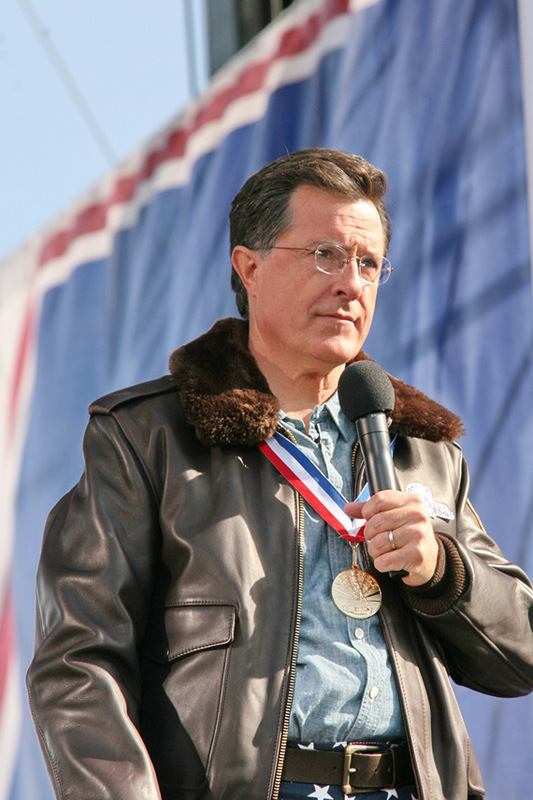 In January 2012, Colbert decided to run for “President of the United States of South Carolina.” As was legally required, he passed off control of his Super PAC to someone totally unconnected to the committee—his Comedy Central cohort Jon Stewart. 1907: Passage of the Tillman Act, which banned corporate political contributions to national campaigns. 1925: The Federal Corrupt Practices Act increased disclosure requirements and spending limits on general elections. 1971: Passage of the Federal Election Campaign Act (FECA), the first comprehensive campaign finance law. 1974: Amendments made to the Federal Election Campaign Act: limits on contributions, increased disclosure, creation of the Federal Election Commission (FEC) as a regulatory agency, government funding of presidential campaigns. 1976: Buckley v. Valeo: The Supreme Court upheld limits on campaign contributions, but held that spending money to influence elections is protected speech under the First Amendment. 1978: First National Bank of Boston v. Bellotti: The Supreme Court upheld the rights of corporations to spend money in non-candidate elections (i.e., ballot initiatives and referendums). 2002: Passage of the Bipartisan Campaign Reform Act of 2002 (McCain–Feingold), which banned corporate funding of issue advocacy ads that mentioned candidates close to an election. 2010: Citizens United v. FEC: The Supreme Court held that corporate funding of independent political broadcasts in candidate elections cannot be limited under the First Amendment, overruling Austin (1990). Source: Courtesy of Sunlight Foundation (2013) Figure 11.3 Statistics show that the wealthiest 0.01% of the U.S. population contributes a major share of all American political campaign funding. In early 2010, the United States Supreme Court shocked much of the nation when it ruled that corporations have the same rights of political free speech as individuals under the First Amendment to the US Constitution. Citizens United v. Federal Elections Commission was a constitutional law case challenging the Bipartisan Campaign Reform Act (BCRA) of 2002, otherwise known as the McCain–Feingold campaign finance law. The BCRA barred corporations and unions from running broadcast, cable, or television ads for or against Presidential candidates for thirty days before primary elections, and within 60 days of general elections. In addition, the law required donor disclosure and disclaimers on all materials not authorized or endorsed by the candidate. The United States Supreme Court plays a central and occasionally polarizing role in the American democratic system. Created by the Judiciary Act of 1789, the Supreme Court is the only court specifically prescribed by the Constitution. As the “highest court in the land,” it remains the functional and symbolic defender of American civil rights and liberties. As the United States’ final court of appeal, the Supreme Court is the ultimate interpreter of law in the United States. With the authority to strike down any federal and state law it deems unconstitutional, the Court acts as a check on the power of the executive and legislative branches of government. In theory, the Supreme Court guarantees that changing majority views don’t subjugate vulnerable minorities or undermine fundamental American values such as freedom of speech. Because it often appears to defend these values in direct opposition to popular opinion, the Supreme Court has been criticized as an antidemocratic institution that fails to take into account progressive social evolution. Indeed, justices are often accused of ideological activism, constitutional fundamentalism, and ignorance of the changing face of the American public. It can also be argued, however, that the Supreme Court’s decisions historically have reflected growing national sentiments about constitutional issues more consistently than it has rejected them. Virtually every political and social hot-button issue—abortion, gay marriage, affirmative action, civil rights, immigration, and so on—appears before the Supreme Court at some point. Justices are appointed for life so that, ideally, they will not be swayed by outside political influences; unlike the president or Congress, they do not have to worry about re-election campaigns or approval ratings. The Supreme Court’s decisions have often had sweeping and profound consequences to society, and they almost always inflame passions on both sides of the political spectrum. Citizens United, a conservative nonprofit corporation, wanted to run an on-demand cable documentary called Hillary: The Movie, which harshly criticized then-Senator Hillary Clinton during the Democratic presidential primary in 2008. The documentary featured interviews with conservative pundits and politicians who claimed that Clinton would be a presidential disaster. The Federal Elections Committee (FEC) blocked the documentary from being broadcast, designating it as “electioneering communication” under the BCRA. Citizens United brought its case to the United States District Court for the District of Columbia, citing violation of the group’s First Amendment rights, but the lower court sided with the FEC. The case was appealed and appeared before the Supreme Court in early 2009. In 2004, Michael Moore released a documentary, Fahrenheit 9/11, shortly before the GOP primary elections. The movie was a scathing indictment of George W. Bush, his administration’s War on Terror, and the far-reaching consequences of his first term as President. Citizens United filed a complaint with the FEC, stating that ads for the film were television broadcast communications designed to influence voters, and therefore violated federal election law. The FEC dismissed the complaint, saying it was clear that Fahrenheit 9/11, along with its television trailers and website, were purely commercial pursuits. In response, Citizens United decided to start producing its own “commercial” documentaries. Before the Supreme Court, Citizens United argued that the BCRA (the McCain–Feingold Act) only applied to commercial advertisements, not to video-on-demand, 90-minute documentaries such as Hillary: The Movie. The group’s lawyer, Ted Olson, did not even mention the First Amendment, nor did he call for the repeal of any part of federal election law. After the case was argued, the Court decided that the BCRA did not apply to Hillary: The Movie, and therefore Citizens United could air it unhindered. Chief Justice John Roberts drafted an opinion, but it soon became clear that many of the justices didn’t think it went far enough. The conservative majority felt that the case was a perfect opportunity to broaden the discussion to address whether or not corporate speech should be regulated at all under the Constitution. Roberts withdrew his opinion, and the Court called for the case to be reargued in September, almost a month before the official start of the fall term and two months before the 2010 midterm election. The justices directed the parties to file supplemental briefs addressing the question of whether the Court should overrule Austin v. Michigan and parts of McConnell v. FEC, which would amount to eliminating decades of restrictions on corporate electoral spending. Justice Kennedy was joined by Chief Justice John Roberts and Justices Antonin Scalia, Samuel Alito, and Clarence Thomas. To the conservative judges, the ruling was a vindication of the power of free speech; because of Citizens United, the First Amendment could now be applied universally and without prejudice. 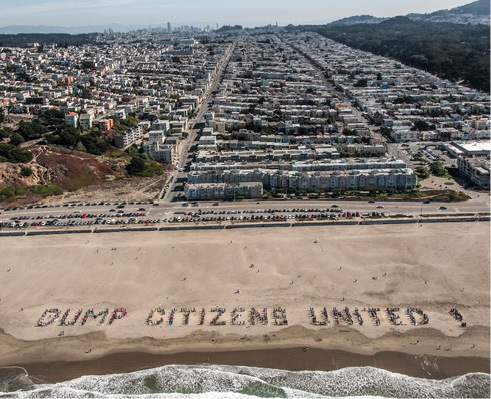 Widespread public criticism of the Citizens United decision has not diminished with time, particularly from liberal or progressive voters and pundits. Protesters, lawmakers, and organizations such as Move to Amend have called for a constitutional amendment to overturn the ruling. Across the country, a number of public demonstrations were held where participants waved signs reading, “Corporations Are Not People.” Despite the widespread outrage, the reality is that corporations have had many of the same rights as individuals for a very long time. The Romans first devised corporate personhood as a way for cities and churches to legally organize for the purposes of joint land ownership, taxation, and institutional perpetuity. Creating a “legal” or “artificial” person made it unnecessary to develop separate laws enabling large groups of people to do the same things as individuals: for instance, make contracts, own property, pay taxes, borrow money, enter into law suits, and be protected from persecution. Specialists in campaign finance law predict that the Supreme Court’s ruling will shape the US electoral process for years to come. The matter is far from settled, however, as there is a growing movement of nonpartisan municipal, county, and state bodies calling for a constitutional amendment to overturn the decision. Citizens United’s legacy is far from over. In this debate section, you will be asked to assume the role of a college student at a SUNY campus in New York State. The Congressional representative who has been elected from your university’s district has introduced a bill in Congress that would authorize a constitutional amendment to overturn Citizens United. The university newspaper has sponsored a public debate so that the it can determine what position to take—should the newspaper endorse (or not) the proposed amendment? You have been invited to be a part of one of the two debate teams that will address the issue at a public forum. You are expected to base your arguments to some extent on the statements and publications of legal and public policy experts. The university newspaper should endorse a constitutional amendment to overturn Citizens United. Corporations are not people, and should not have the same rights as individuals. The Supreme Court erred with its decision in Citizens United, due to judicial activism. Electoral issues should be decided by elected officials and not by the Supreme Court. Corporate money inherently leads to political corruption and “secret” financing. Wealthy Americans by and large represent the corporate interests of America and should not drown out the voices of those with less power and money. The university newspaper should oppose a constitutional amendment to overturn Citizens United. American democracy relies on freedom of speech, which should therefore be enjoyed by everyone, regardless of their legal status. Corporate money in elections increases political competition and awareness of issues. Americans can decide for themselves whether or not to elect a candidate; ads don’t make a difference either way. Corporations advocate for their employees, customers, and communities, and regulation will only constrain this ability. Corporations are fundamental to American economic progress and should be allowed to influence the political process to maintain their positive contributions to society. The official arguments and decision can be found at “Citizens United v. Federal Election Commission.” The Oyez Project at IIT Chicago-Kent College of Law. Last updated August 25, 2014. http://www.oyez.org/cases/2000-2009/2008/2008_08_205. A video can be found at “The Story of Citizens United v. FEC (2011).” YouTube video, 8:50. Posted by “storyofstuffproject” on February 25, 2011. https://www.youtube.com/watch?v=k5kHACjrdEY. Smith, Bradley A. “Why Super PACs Are Good for Democracy: Super PACs Get Government out of the Business of Regulating Speech.” U.S. News and World Report. February 17, 2012. http://www.usnews.com/opinion/articles/2012/02/17/why-super-pacs-are-good-for-democracy. Kaminer, Wendy. “The New York Times’ Disingenuous Campaign against Citizens United.” The Atlantic. February 24, 2012. http://www.theatlantic.com/politics/archive/2012/02/the-new-york-times-disingenuous-campaign-against-citizens-united/253560/. The paper is promoting the misconception that the ruling allowed for unlimited campaign contributions from super-rich individuals. It didn’t. Like Fox News, the New York Times has a First Amendment right to spread misinformation about important public issues, and it is exercising that right in its campaign against the Citizens United ruling. In news stories, as well as columns, it has repeatedly mischaracterized Citizens United, explicitly or implicitly blaming it for allowing unlimited “super PAC” contributions from megarich individuals. In fact, Citizens United enabled corporations and unions to use general treasury funds for independent political expenditures; it did not expand or address the longstanding, individual rights of the rich to support independent groups. And, as recent reports have made clear, individual donors, not corporations, are the primary funders of super PACs. As these examples suggest, …campaign-finance reforms dating back decades have produced an overcomplicated, overreaching web of laws and regulations that are easily abused, misunderstood, or intentionally obfuscated. The complexities of campaign finance law (and tax-code provisions governing independent groups) also create incentives to oversimplify the problems caused by the campaign-finance regime by naming Citizens United as the root of all evils. This helps advance what appears to be a simple solution—repeal Citizens United with a “free speech for people” constitutional amendment declaring that corporations aren’t people. Putting aside the dangers of this approach, it wouldn’t solve the problem of super PACs: The billionaires funding them may lack personal appeal but they are, after all, people, whose expenditures were not at issue in Citizens United. When the press promotes false understandings of Citizens United and the problems of campaign finance, it “paves the way” for false solutions. It’s worth noting that the Times is not alone among proponents of reform in scapegoating Citizens United (although it seems to have taken the lead.) The New York Times, the Washington Post, and MSNBC regularly and routinely misstate the meaning and impact of the Supreme Court’s Citizens United decision on campaign finance rules,” Steve Brill recently observed, citing a post by Dan Abrams. Brill recommends confronting reporters and commentators with their frequent misstatements. Former ACLU Executive Director Ira Glasser has gamely tried engaging New York Times Public Editor Arthur Brisbane in an effort to stop misleading readers…Are you confused yet? What does the Times believe or want you to believe about Citizens United? Whatever. Greenfield, Jill. “Experts Assess Impact of Citizens United.” Harvard Gazette. February 3, 2012. http://news.harvard.edu/gazette/story/2012/02/experts-assess-impact-of-citizens-united/. Few recent Supreme Court cases have received as much attention—and drawn as much ire—as Citizens United v. Federal Election Commission. In a 5–4 decision, the court ruled that the First Amendment prohibits government from placing limits on independent spending for political purposes by corporations and unions. To proponents of campaign finance reform, Citizens United had the detrimental effect of inundating an already-broken campaign finance system with corporate influence. At an event sponsored by the Harvard Law School (HLS) American Constitution Society on Tuesday, HLS Professor Lawrence Lessig, author of Republic Lost, and Jeff Clements, author of Corporations Are Not People, reviewed the impact that Citizens United has had on the political process. Clements said that the court’s decision exacerbates two problems that the American political and electoral system had already been facing—the large amount of campaign spending and the growing influence of corporate power on the political process. Clements said that both problems need to be fixed in order to restore democracy but that, rather than addressing these problems, the Citizens United decision instead requires that the American people fundamentally reframe their notion of corporations. “We need to look at what Citizens United really asks us to do, which is to accept a lot. The court asks us to pretend that corporations are not massive creations of state, federal, and foreign laws. It asks us to pretend that they’re just like people, that they have voices, and that we’re not allowed to make separate rules for them,” he said. Although some legal observers regard the decision as simply a bad day on the court, Clements said that Citizens United actually represents the culmination of a steady creation of a corporate rights doctrine that is radical in terms of American jurisprudence. He provided a history of the idea of corporate personhood and corporate speech, which began only in the 1970s under Chief Justice William Rehnquist. Lessig added that the system that has resulted is one in which elected officials must spend 30 to 50 percent of their time fundraising, and thus make decisions based not on what is best for their constituents, but on what their super PACs and other major donors want to see. As a result, he said, members of Congress develop a sixth sense as to what will raise money, which has led them to bend government away from what the people want government to do and toward what their funders want government to do. To fix the problem, we need to produce a system where the funders and the people are one and the same. The solution, Lessig said, is a multipronged approach that includes a constitutional amendment explicitly stating that corporations are not people, as well as a movement to publicly fund elections and provide Congress with the power to limit independent expenditures. Do corporations have too much influence on American politics? Support your arguments with examples of excessive influence or lack of excessive influence. Why do so many people find it repugnant to treat corporations as “persons”? Is this disfavor justifiable? 1. “Remarks by the President in State of the Union Address,” Whitehouse.gov, January 27, 2010, accessed December 3, 2014, http://www.whitehouse.gov/the-press-office/remarks-president-state-union-address. 2. “Political Party Spending at Elections,” The Electoral Commission, accessed October 25, 2013, http://www.electoralcommission.org.uk/party-finance/party-finance-analysis/campaign-expenditure/uk-parliamentary-general-election-campaign-expenditure. 3. Anna M. Paperny, “Election Costs Have Skyrocketed in Past Decade, The Globe and Mail, August 23, 2012, http://m.theglobeandmail.com/news/politics/election-costs-have-skyrocketed-in-past-decade/article574996/?service=mobile. 7. “The FEC and the Federal Campaign Finance Law,” Federal Election Commission, last updated January 2013, http://www.fec.gov/pages/brochures/fecfeca.shtml. 8. Victor W. Geraci, “Campaign Finance Reform Historical Timeline,” Connecticut Network, accessed October 25, 2013, http://ct-n.com/civics/campaign_finance/Support%20Materials/CTN%20CFR%20Timeline.pdf. 10. Reity O’Brien, “Court Opened Door to $933 Million in New Election Spending,” The Center for Public Integrity, January 20, 2013, http://www.publicintegrity.org/2013/01/16/12027/court-opened-door-933-million-new-election-spending. 11. Lee Drutman, “The Political One Percent of the One Percent,” Sunlight Foundation, December 13, 2011, http://sunlightfoundation.com/blog/2011/12/13/the-political-one-percent-of-the-one-percent/. 12. Elena Kagan, “Citizens United, Appellant v. Federal Election Commission: Supplemental Brief for the Appellee,” The Supreme Court of the United States, no. 08-205, July 2009, http://www.justice.gov/osg/briefs/2009/3mer/2mer/2008-0205.mer.sup.pdf. 13. “Citizens United, Appellant v. Federal Election Commission, The Oyez Project at IIT Chicago-Kent College of Law, last updated August 25, 2014,http://www.oyez.org/cases/2000-2009/2008/2008_08_205. 14. Citizens United v. Federal Election Commission, 558 U.S. 310 (2010). 15. Mike Sacks, “Citizens United Foes John McCain, Sheldon Whitehouse Take Argument to Supreme Court,” Huffington Post, May 18, 2012, http://www.huffingtonpost.com/2012/05/18/citizens-united-john-mccain-sheldon-whitehouse-supreme-court-brief_n_1527622.html. 16. “Corporation.” Chambers Concise Dictionary. p. 267. Allied Chambers Publishers Ltd.: New Delhi. 2004. 17. “Timeline of Personhood Rights and Powers,” MovetoAmend.org, accessed October 25, 2013, https://movetoamend.org/sites/default/files/Timeline_36inch.pdf.